Almost everyday since 1991 Joe and I take our walk in the woods that leads us to the water. 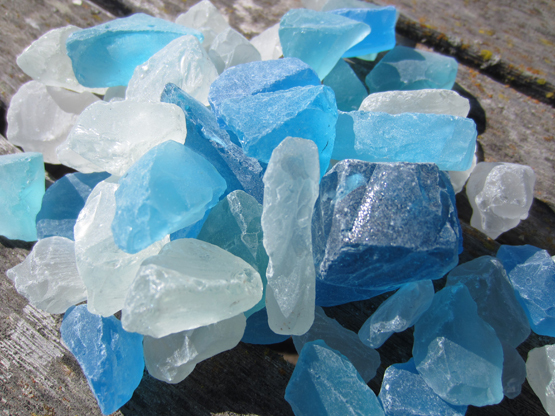 It is where we do our dreaming as we hunt for beach glass and listen to the seagulls. It has taken years to build my beach glass collection. You can have yours in just days with this! 1.25 lb. Jar of tumbled "sea glass nuggets".